An opportunity has become available to join Australia's largest steel building supplier network. At the core of everything we do at Sheds n Homes, we're about local community and offering genuine local service. You'll be in business for yourself, but not by yourself. 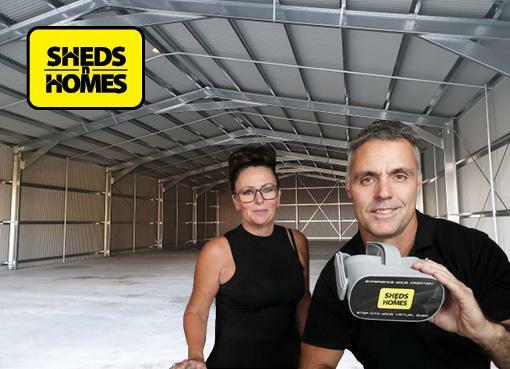 As a Sheds n Homes franchise owner, you'll be connected to a national network of peers, while still having the freedom and flexibility to run your own business. Our comprehensive training program, combined with industry leading technology (including Virtual Reality), business support and a sophisticated logistics network, places us at the forefront of the industry – what we're looking for is great people. At Sheds n Homes, we believe in quality. We use only premium BlueScope steel structural components and have earned ShedSafe® accreditation. Unlike some franchise opportunities, we believe in investing in your success - so we spend the franchise fee directly on you and your business. This includes store and vehicle fit outs, training, uniforms, promotional gear, legal fees and early stage marketing efforts. If you are looking to sell your Building and Construction or Building and Construction business for sale, or business for sale in Queensland (QLD), Australian Business for Sale has variety of packages to choose from. Click here to read How to Sell A Business Online. Click to see shops in Australia.